Reno-Tahoe International Airport Spokesperson April Conway sorts through giftcards and cash donations made to help federal airport employees. The government is temporarily open following the longest shutdown in U.S. history lasting 35 days. In Nevada, nearly 3,500 federal employees continue to be impacted. KUNR’s Lucia Starbuck spoke to several of them as they started returning to work this week unsure of when their back pay will arrive. Whether the government is open or closed, travelers going in and out of the Reno-Tahoe International airport have still been going through security. At just this one airport, there are 175 employees for the TSA, Customs and Border Protection and the Federal Aviation Administration who keep travelers safe. With so many impacted employees, the airport started accepting donations recently and is continuing to do so while questions remain about back pay. Linda Wong is in a baby blue shirt that says the word “Kindness,” and she’s bringing in a paper bag filled with food for the workers. “They're being held hostage in my, in my opinion. You know, they're just innocent victims of this whole political situation,” Wong said. April Conway is an airport spokesperson. She says thousands of dollars in donations have come from businesses, former employees, airline pilots and community members, some of whom wished to remain anonymous. Over at the Northern Nevada Food Bank in Sparks, President and CEO Al Brislain has seen more government employees come through the door to feed themselves and their families. It can be daunting asking for help, especially for first time visitors. “This is neighbors helping neighbors. Every dollar that we spend on food or on trucking came from somebody that wanted to help their neighbors, and so that's all it really is and they shouldn't feel bad,” Brislain said. Kelley Bailey has worked for the FAA for 22 years. 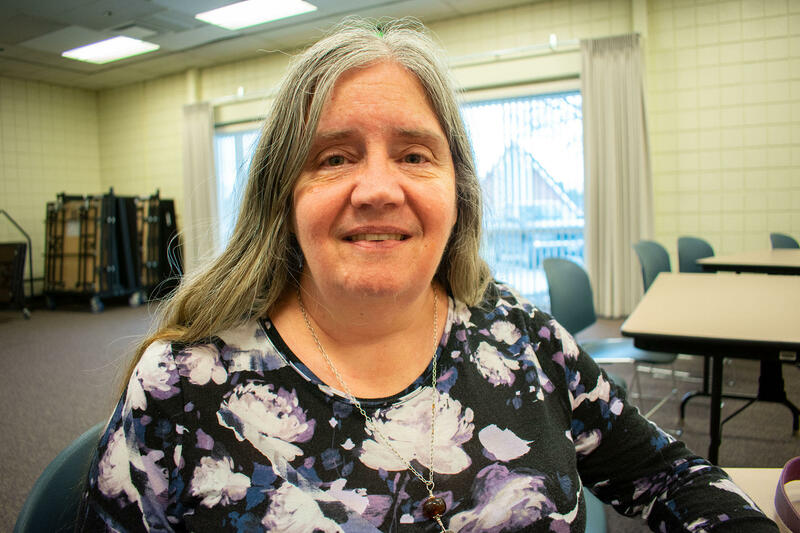 She received help from the Northern Nevada Food Bank during the government shutdown. One local resident who has relied on the food bank during this difficult time is Kelley Bailey, a computer specialist for the FAA. Even though she’s visited the food bank before, it’s been years and she didn’t expect to return. “Way, way back in my past, I have been there before, so I wasn't afraid, and if you have never experienced poverty before it can be really frightening,” Bailey said. Bailey says this whole experience of facing poverty again has been pretty scary. She returned to work at the beginning of the week, but she is still juggling several expenses. Bailey will actually have to pay back that unemployment check she received now that the government has reopened. 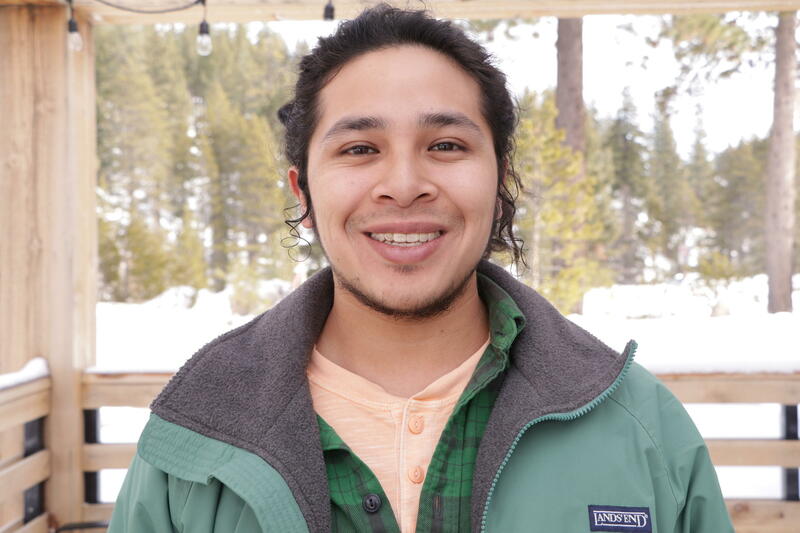 For Joseph Cañas, a forest technician in Truckee, things have been easier and he is grateful for the support system he had while being furloughed. Joseph Cañas is at Starbucks before his part-time job. He picked up a second job during the government shutdown. Cañas isn’t afraid to reach out for help if the government shutdowns again, but he is worried his department could fall behind even more. “Winter is actually crucial for us because the summer is super busy with our recreation programs, our campground program, all of the construction activities are being carried out. In the winter, it's our time to catch up; it’s our time to plan, to take care of administrative tasks, and that's what we’re losing out on now,” Cañas said. Looking ahead, this temporary fix is only good through Feb. 15. If leaders on the national level can’t come to an agreement on border security, federal employees in Nevada could have to brace themselves for yet another shutdown. Lucia Starbuck is a senior at the Reynolds School of Journalism. Around 3,000 federal employees in Nevada are waiting and worried as the government shutdown continues. KUNR reporter Stephanie Serrano recently spoke to a few of them. For some, an unexpected family emergency is all it takes to eat up the rent budget, pushing these families close to homelessness. A program from the Reno Housing Authority is meant to catch them before they get there. KUNR’s Holly Hutchings has more.